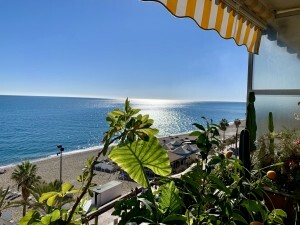 Great Villa with sea views located in exclusive, safe and quiet urbanization "LA CAPELLANIA". Main floor: Entrance hall with guest toilet and cloakroom, living room with fireplace and double height ceiling with access to large covered terrace with open sea views, elegant dining room with fireplace and access to the terrace and next to the fully fitted kitchen with dining area with access to the terrace. 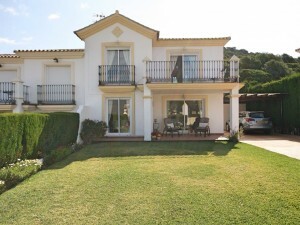 At this end of the Villa, we also find an office with sea views, large laundry room and pantry. At the other extreme is the accommodation area with 5 double bedrooms, all with on suite bathrooms and dressing rooms (3) or wardrobes. Very spacious master bedroom with fireplace. Lower floor with indoor and outdoor access: Zone of the stairs, spacious gallery (or entertainment area) very bright with several accesses to the porch and garden, fully equipped bar with extensive wine cellar, workshop, storage and toilet. Garage for 4 large vehicles with automatic gate. Machine room. Separate service apartment with living room, bedroom with wardrobe, bathroom and equipped kitchen, plus another separate bedroom with on suite. Exterior: Elegant entrance with automatic gate and very large car park with lovely front garden with fruit trees and sitting areas. Pool area (sunny all day) with lovely garden. Property in perfect condition with double glazing, electric shutters, alarm system, music system, air conditioning and heating controlled by zone, automatic irrigation system. 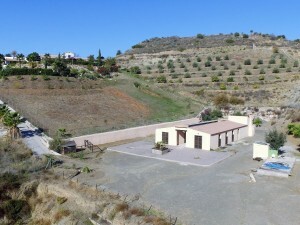 Plot 3.864m2. Total built size: 1.032,84m2. Living area 947,50m2 more porches and gallery 85,34m2.